Team news for Tuesday's League One clash between Tranmere Rovers and Rotherham at Prenton Park. 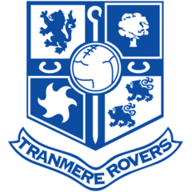 Tranmere captain James Wallace returns from a three-match suspension for the game with boss Ronnie Moore's old club Rotherham. The central midfielder has not played since the New Year's Day draw with Wolves but Moore has guaranteed him a spot in the starting XI, meaning either Jason Koumas or Steve Jennings will likely drop out. Rovers could be without striker Jake Cassidy, though, as the on-loan striker sustained a back injury in Saturday's win over Crewe and will not train on Monday as a result. Evan Horwood will continue at left-back because Liam Ridehalgh (groin) is not yet ready to return. Ian Goodison is working his way back from a thigh injury but, after keeping a clean sheet at the weekend, Moore may opt to continue with the same back four. 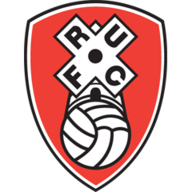 Rotherham will hand fitness tests to Lee Frecklington and Alex Revell. Frecklington missed Saturday's clash with Crawley due to a slight hamstring strain while Revell limped off with a calf problem. Richie Smallwood is likely to continue if Frecklington does not make it and Wes Thomas will be eyeing a start if Revell is unfit. Skipper Craig Morgan (foot) is also out as the Millers take on Tranmere aiming to extend their unbeaten run in League One and consolidate their play-off position.